1. Magic can be enjoyed by all age groups. David can entertain adults and children alike. 3. 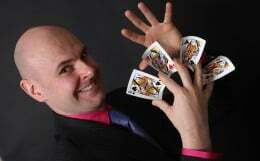 The ancient art of magic is an excellent ice-breaker and talking point. Your guests will be impressed that you have provided them with such a unique experience. 4. Your wedding day is one of the most important days in your life. 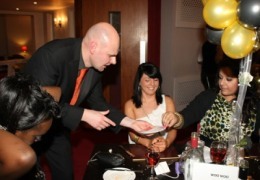 The presence of a magician will certainly ensure that it is a day to remember. 5. The timeless mystery and amazement of the magical art is very much in keeping with the character of a wedding celebration. 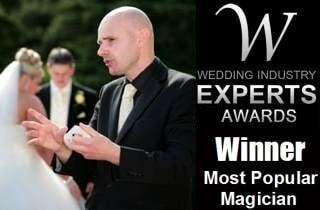 David will bring class and wonder to your reception.